Click here for a live look. 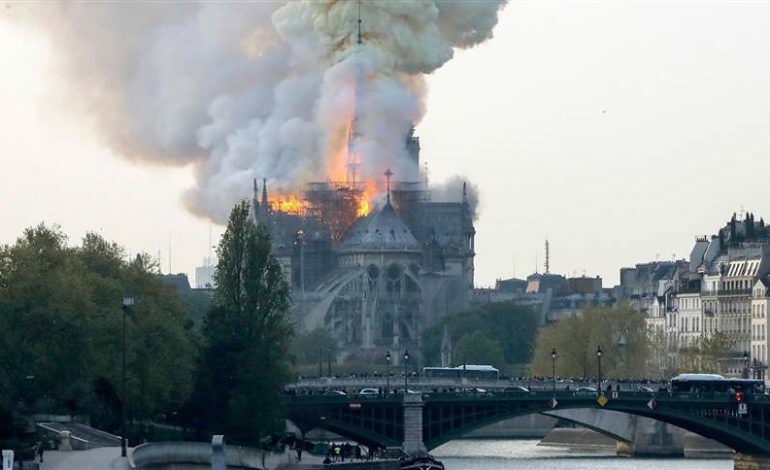 Flames engulfed the historic Notre Dame Cathedral in Paris on Monday, with billowing smoke seen from miles away in the French capital. The flames appeared to be around scaffolding, high at the top of the famous church where $6.8 million in renovations were being done.